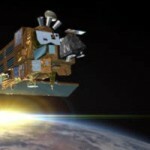 It is now ten years since the ENVISAT European environment satellite was launched into orbit around the Earth. Among the equipment on board is the “Scanning Imaging Absorption Spectrometer for Atmospheric Chartography” – SCIAMACHY for short. It is continually mapping the ozone layer and the development of the ozone hole. Over the past decade, it has delivered reliable and important data which help scientists to better understand phenomena like the hole in the ozone layer. SCIAMACHY (Scanning Imaging Absorption Spectrometer for Atmospheric CHartographY) is an imaging spectrometer whose primary mission objective are global measurements of trace gases in the troposphere and in the stratosphere. 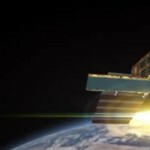 The solar radiation transmitted, backscattered and reflected from the atmosphere is recorded at relatively high resolution (0.2 nm to 1.5 nm) over the range 240 nm to 1700 nm, and in selected regions between 2.0 µm and 2.4 µm. In summer 2006 the book describing the first very successful years of the SCIAMACHY mission has been published. Meanwhile it has been distributed in the atmospheric science user community, among management bodies and the public. The book was a common effort of many authors with DLR, ESA and NIVR providing funding for production and printing. The online version is available as pdf files. 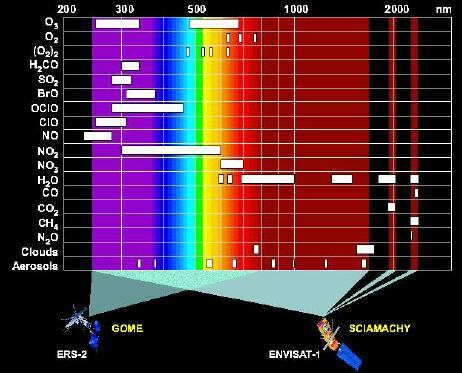 The large wavelength range of SCIAMACHY is also ideally suited for the detection of clouds and aerosols. SCIAMACHY has three different viewing geometries : nadir, limb, and sun/moon occultations which yield total column values as well as distribution profiles in the stratosphere and (in some cases) the troposphere for trace gases and aerosols. The IUP Bremen is the PI (principle investigator) institute for SCIAMACHY. This homepage offers complete information about SCIAMACHY and access to our data products.